Most people make sure that the chairs in their homes and office are as comfortable as they possibly can be. After all, people spend numerous hours each day planted in them. Well, this is the same reason that you should make sure that your car seat is just as cozy as any other seat. Considering that the average person spends around 300 hours each year just sitting in their car, it seems worth it. Now, most people can’t afford to replace their entire car seat but the good news is that you don’t have to. You simply have to find the best car seat massagers to keep you comfortable during your drive. 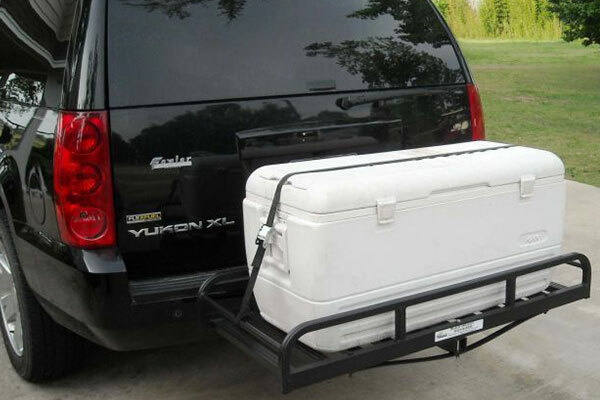 This way, even you go on a long road trip, you can be certain that you will be able to exit the vehicle without being plagued by stiff joints and sore muscles. If you aren’t entirely sure how to shop for a car seat massager, we have taken on this task for you. In this article, you will find a variety of car seat massagers that are sure to fit you perfectly. What’s more, we have even offered some helpful tips to make this shopping experience a lot easier for you. Where Do You Want to Be Massaged? Do You Want to Be Able to Customize Your Massage? Are You Looking for a Long Term or Short Term Fixture? Before we unveil our top picks for you, let’s first consider the criteria that we examined to determine which massagers were worthy of being included in this list. Comfort Level: the first thing that we looked at was just how comfortable the massage seat was to sit in. We checked to see how much cushioning there was to see whether it would hold up for longer journeys as well. Mode of Massage: it we examined the precise massaging action of each of the seats to see if there were a variety of options available. Points of Contact: we also considered the specific points on your torso and lower body that the massager targeted to determine if it was reaching all the right pressure points. Usability:Another major focal point of today’s battery chargers is making them as easy to use as possible. Not every user has the time or the interest to learn the workings of batteries and their chargers. So manufacturers have gone to greater length to make their chargers efficient easy to use. Variable Settings: last but not least we analyzed whether the seat had settings to adjust the massaging action so it could be better suited to your needs. Why we like it: The INTEY Shiatsu Massage Chair Pad allows you to get a complete and realistic massage within the confines of your car. This is definitely a massage pad that has been equipped to give you a full massage. It has twelve massage balls and four shiatsu massage nods. Combined, you are able to get a deep and thorough massage all over your back, shoulders, and neck. What’s really interesting about this pad is that it has 3D massage balls. So, when they are activated they actually feel like a masseuse’s fingers working up and down your body. To add to this, the chair can also be gently heated so that you are able to get even more out of your massage. Now, for the neck and shoulder massage feature, you can adjust the nodes according to your height. Unfortunately, those who are quite tall or quite short will find it difficult to adjust it so that it fits their needs. The massage chair is well padded throughout the seat so you will feel quite comfortable seated in it for long periods of time, even if the massage feature isn’t activated. At the same time, the seat is made from light, breathable material. So, you will be able to enjoy sitting in it, regardless of the weather outside. The seat of this massage chair has vibrating features as well. This allows you to gently massage the muscles in your lower body, ensuring that your entire body is treated to a relaxing experience. The other great feature with this chair pad is the fact that there is an auto shutoff. After fifteen minutes of use, the chair will turn itself off. This ensures that you get just the right amount of massage without needing to worry that you are doing any sort of damage to your skin or your body. Why we like it: The SNAILAX Massage Cushion provides you with plenty of massage options so that you can get a customized massage experience. 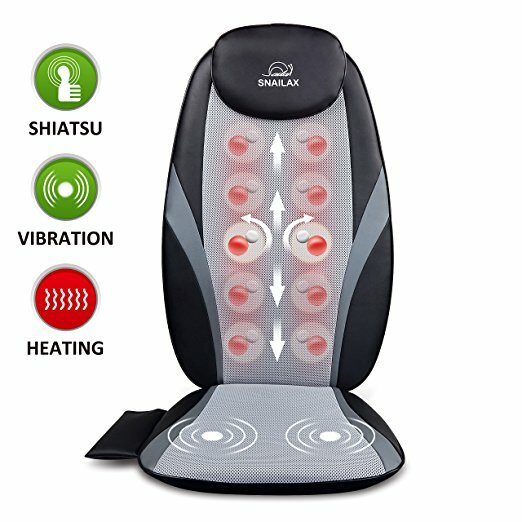 The SNAILAX massage cushion consists of four deep massaging nodes. These can move up and down so that your entire back is thoroughly massaged. At any given time you can choose to focus on either the upper, middle or lower portion of your back. One of the massage features that really set this cushion apart is that you have the ability to choose the Spot Massage feature. This allows you to focus all of the massaging power on just one part of your body and really work on your pressure points. There is even a vibrating seat with three different levels of intensity. All of the massaging options can be accompanied by gentle heat so that your muscles are even further relaxed by the end of the session. The only really unfortunate thing about this cushion is that there aren’t any specific massage features for the shoulders and neck. One of the best things about this car seat massager is the fact that there are so many different settings options. So, you can tailor your experience just how you like it. This is definitely one of the more luxurious car seat massagers around. It is constructed from a comfortable yet sophisticated combination of leather and mesh. So, not only is the seat incredibly soft to the touch, you are also guaranteed to always stay cool and comfortable. 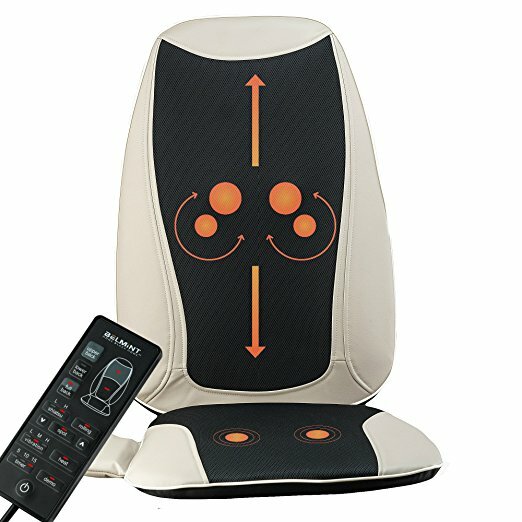 With this massage chair pad, you get to choose three different time intervals, depending on just how long you want your massage to be. Even if you don’t choose any setting, the car seat massager will automatically turn off after fifteen minutes. This will help to prevent doing any undue damage to your body from too much continuous pressure. Why we like it: The Belmint Massage Seat makes it easy for you to focus on specific points on your back, easing soreness and tight muscles. There are certainly a lot of options to choose from, depending on the kind of massage that you are looking for. You can indulge in either a rolling, shiatsu or vibrating massage. On top of this, you also get to choose the different levels that you can enjoy each of the massages at. So, regardless of if you want a gentle massage or something a little firmer, you can select your preference with the click of a button. You can choose to either massage your entire back or to focus on either the upper or the lower portion. If you are trying to reach a specific spot, you can do that as well. Simply by using the arrow buttons, you can direct the vibrating nodes to an area that needs the most attention. This helps you to unwind a lot quicker. If you have sore muscles and you want some additional relief then you can simply turn the heating feature on. There are only two main drawbacks with this massage seat. First, it doesn’t have a feature to help relieve the tension in your neck or shoulders. Also, there is no vibrating or massaging option for the seat of the cushion. This means that you can’t really target the whole body. The seat is also very comfortable to sit in and has just enough cushioning to make it a good option even if the massage feature isn’t on. The material covering the seat is also incredibly soft to the touch which makes this pad a joy to seat in from the very first moment. The chair is equipped with a timer that lets you choose between a five, ten, and fifteen-minute massage. This means that you can be pampered for as long as you like. Why we like it: The NURSAL Back Massager Cushion ensures that you get an all-over massage, loosening muscles in both your upper and lower body. 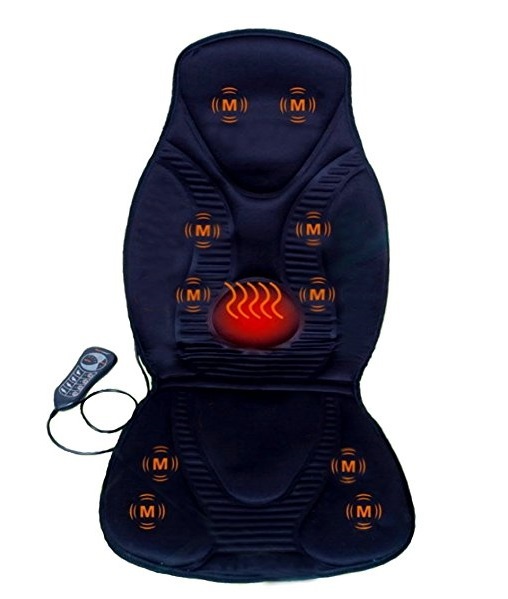 What makes this back massager cushion so great is all the options offered to you. To start with, look at the massage choices you have for your neck. First, you get to choose whether the massage balls work in a clockwise or anti-clockwise motion. You also get to adjust the seat so that the neck massage nodules can move up or down. You will find that there are just as many choices available for your back as well. For one thing, you get to choose whether the massager should focus on your entire back or just one section. In fact, you can even direct it to focus on just one spot in particular. To make things even better, you actually get to choose from three modes – kneading, waving, and shiatsu. The main issue with the top half of this seat is that it isn’t all that great for people who are very short or very tall. The neck and back portions don’t line up to well with people who are at height extremes. However, the whole thing can be heated for added comfort. The seat, however, works for everyone. You can choose from either high, medium, or low vibrations and make sure that your lower half is just as relaxed as your upper half. While this massager is incredibly comfortable while it is on, the same can’t really be said for when the device is turned off. Due to the design of the chair and the way the massage nodes have been placed, it can be a little difficult to sit on the chair when it is not in use. So, when you are driving, you may need to remove it. With this massager cushion, you get to choose how long you want your massage to be. You get to decide from five-minute intervals, up to 15 minutes. Even if you forget to change these settings, you don’t have to worry as the auto shut-off feature will kick in. 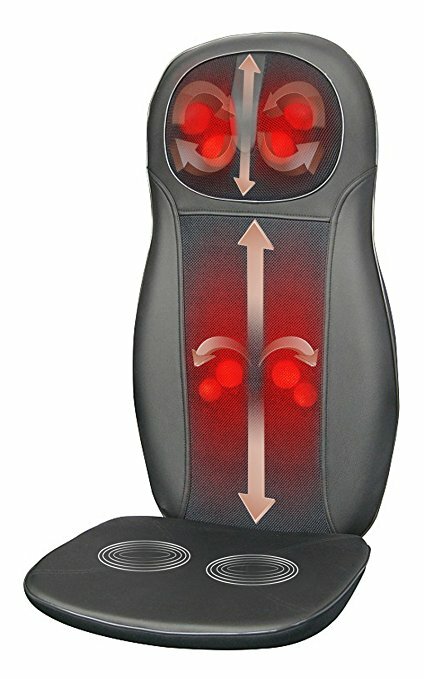 Why we like it: The Gideon Vibrating Massager seat is a great option for anyone who is looking for a thorough yet gentle massage all over their body. Do you want your muscles loosened but don’t really like the idea of being kneaded? If so, then you will find that this massager seat is just right for you. This is because it only uses vibrations to help ease the tension in your muscles. The vibration capabilities are available both in the top part of the seat as well as the lower part. So, your entire body gets to enjoy soothing vibrations. On the one hand, the vibrations may seem mild compared to other forms of massage. 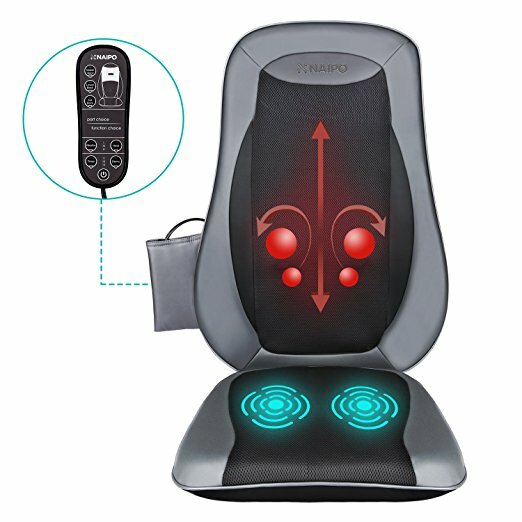 However, there are six powerful motors throughout the chair that ensure that you get to choose just how gentle or firm your massage is going to be. In fact, there really isn’t a place where the seat touches your body that isn’t properly massaged. Your back, waist, buttocks, and thighs are all tended to. Unfortunately, the same can’t be said for your neck or your shoulders, which is a bit of a letdown. There is also a heat feature that is present on both the top and bottom part of the seat. So, you get to gently soothe any tired or aching muscles and joints that may have been worrying you. Now, you will notice that this massager seat isn’t the thickest around. So, if there are bumpy roads ahead of you, then you may want to choose a different seat. However, in most normal road conditions you will find that this massager provides you with all of the comfort that you need. 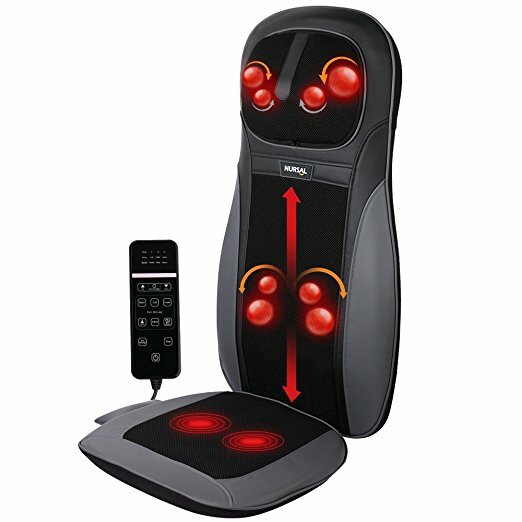 The Gideon vibrating massage chair relies on a digital controller. On the one hand, this does mean that you can customize the settings on this chair even more. However, depending on your capabilities, this could imply a slightly higher learning curve. Why we like it: The Real Relax Massage Seat Pad lets you enjoy a variety of massages as well as the gentle, soothing force of air pressure. 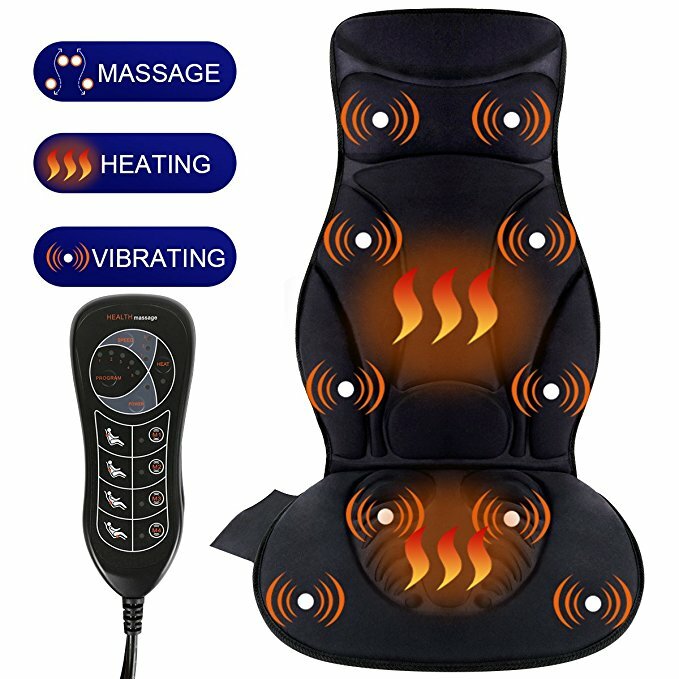 There really is a lot that you can enjoy with this massage seat pad. For one thing, you can be certain that you will get a thorough massage all over your body. From your neck, all the way down to your lower body, you will be taken care of. The nodes present near your neck can actually be programmed to move either in a clockwise or anti-clockwise motion. This means that you get to switch up the movement every now and then, ensuring that your neck gets properly massaged. Now, these nodes can be adjusted according to your height. However, they may still be oddly placed for individuals who are very tall or very short. The nodes in the back portion of the seat can easily move up and down. This allows you to specifically target certain points on your back. So, if you want to massage a particular spot, you can do it and relieve the tension there immediately. There are also airbags on either side of your lower body and these send gentle pulses to your waist, hips, and below allowing you to slowly release the tension in these areas as well. The most unfortunate thing about this seat pad is the fact that when it is not in its massage mode, it isn’t all that comfortable to sit in. This is because the nodes protrude from the seat, making it difficult to sit on under normal circumstances. This is certainly one of the safer options available to you. First, it has an automatic shutoff function that ensures that it will turn off by itself after 15 minutes of use. There is also the fact that the temperature of the heating feature is carefully controlled so that it won’t harm you. Why we like it: The Naipo Massage seat cushion is a good choice for anyone who likes a more intense massage to relieve their stress. 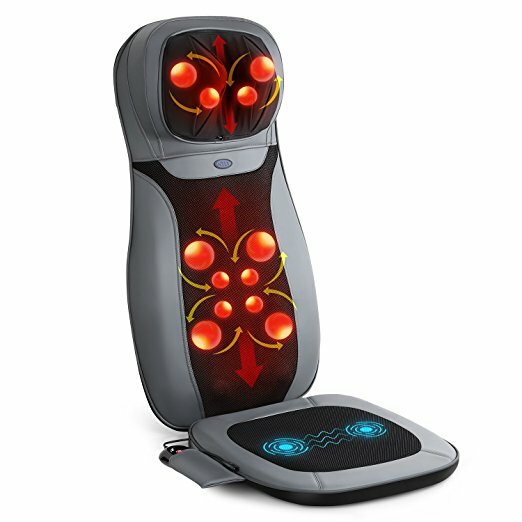 The Naipo massage cushion boasts a 3D massage function. Simply put, this means that the cushion is able to mimic many of the same massage movements as an actual person. Due to this, you are able to experience a deeper, more thorough massage. At the same time, this can be a little too much for people with sensitive skin or muscles. So, this chair will only really work well for people who enjoy a more intense type of massage. With this cushion, you can choose to focus the massaging action on the upper back, lower back, or the entire back. Unfortunately, there isn’t a spot action available with this cushion, so you may not be able to reach the precise spots that you want. However, the cushion is equipped with a vibrating seat. You can choose from three different levels and enjoy a pleasant sensation that will leave all of your muscles feeling soothed and relaxed. There is also a heat function that you can activate to add to the whole feeling of unwinding. This is actually a rather comfortable seat, even when the nodes aren’t working. It has just the right amount of cushioning to ensure that you are well supported. Due to this, you should have no problem at all sitting on this seat for longer periods of time. What’s great about this massager seat is that you can time your massage for either five minutes, ten minutes, or fifteen minutes. During this time, you can simply lie back and relax. If you don’t choose the timer, though, you will have to switch off yourself so that you don’t feel uncomfortable. Why we like it: The Relief Expert Car Seat Massager gives you the chance to reach all parts of your back and lower body for a great massage. Now, this is a vibrating massager which makes it ideal for anyone who doesn’t appreciate massaging nodes or anything that is too intense. This doesn’t mean, however, that the Relief Expert massager is lacking in any way. In fact, it has ten different motors around the seat, ensuring that all the spots on your back and lower body are accounted for. With this many motors, you can be quite sure that none of your muscles or joints will be left out during your massage. In addition to this, there are also a variety of massage modes to choose from and corresponding intensity levels as well. This way, you get to completely customize your massage experience so that it is exactly how you want it to be. The only minor inconvenience is that there is no neck massage option available. Your seat, however, does have vibrating features as well. So, you get to ensure that all the important parts of your body have been gently massaged and feel a great deal better. Another slight drawback is the fact that this massager has a slightly complicated remote. So, it will take some time for you to get used to it. This seat does have a decent amount of padding and in most instances, you will be quite comfortable while driving. However, if you have sensitive skin, you may find that this seat doesn’t offer nearly as much protection as you need. This is a rather basic seat massager at least in terms of lacking additional features. However, you can use the heat on this seat alone without needing to activate the rest of the features. Why we like it: The Zyllion ZMA14 Massager Cushion is perfect for anyone who likes a firm massage on most parts of their body. 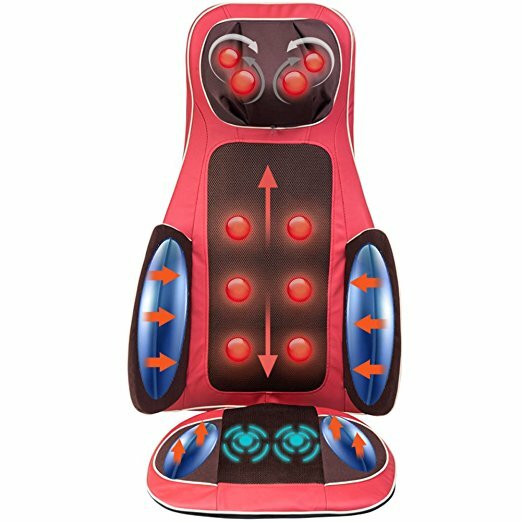 One of the main perks of this massager cushion is the fact that it works to massage you all over your body. In the neck area alone, there are four massage nodes that can move in any direction that you choose. You can also pick whether you want the nodes to move up or down, depending on the areas that you want to target the most. Unfortunately, this is not very well suited for shorter individuals. You get many of the same features with the back portion of the chair as well. These nodes, too, can be set so that they can move in a variety of directions. This means that you can specifically target either your upper, lower, or entire back. There is a spot feature that allows you to specify just which section you want to focus on. There is also a heating feature which allows you to enhance your massage experience. Now, with the top portion of the massage cushion, you can choose either a rolling or shiatsu massage, depending on your preference. Still, you also get to enjoy a pleasant vibrating sensation around your waist, buttocks, and thighs as well. With the upper portion of the chair, you do have to be careful as the intensity of the massage is quite high. So, if this isn’t something that you find pleasant, you may find this chair to be too much. The Zyllion massager cushion is actually quite comfortable. This is due to the fact that the back portion of the chair is quite thick and has a lot of padding. So, you should be able to sit on it for a long time without any issues. This is a very safe massager, particularly when it comes to the heating element. The chair has a built-in switch off function that makes sure the chair doesn’t get too hot. There is also a twenty-minute auto shut-off feature as well. Why we like it: The FIVE S FS8812 Massage Seat Cushion works well for anyone who wants almost a full body massage without too much intensity. 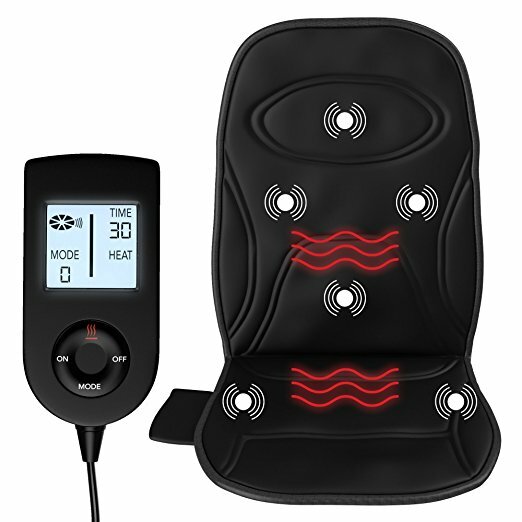 The one thing that you will notice about this massage cushion is that there are a ton of features to choose from. This is largely because of the fact that there are ten different motors throughout the seat. As a result, you get to customize your massage to a larger degree. 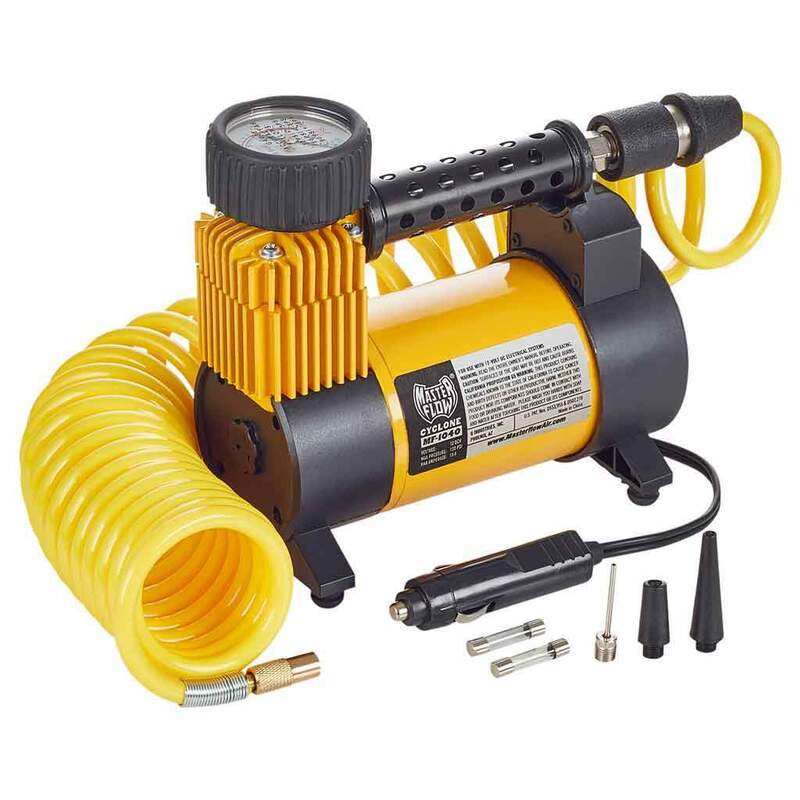 One of the benefits of these motors is the fact that you get to target most areas on your upper and even lower body. You can even get a neck massage. The chair is capable of focusing on four different zones either individually or with any combination of the zones. There are also four different programs to choose from. This gives you the ability to choose how the massaging action will fade in and out, how intense the massage will be and the zones that you want to target. There are also various speeds that you can choose from so you get to choose the intensity of your massage. Adding to this is the fact you can activate the heat function, which is perfect for soothing any sore or tired muscles. One of the downsides is that this massager isn’t all that powerful. So, if you are looking for a medium to firm massage, you may be disappointed. Also, with all these features, the remote can be a tad bit confusing to use. It will take some time before you learn how to use it quickly and efficiently. The massage seat cushion is actually quite comfortable because it has more than enough padding. Also, because there aren’t any protruding elements to the cushion, you don’t have to worry about being poked or prodded. This makes it great for long journeys. What’s great about this massager is that it has a shut-off feature that comes into effect about thirty minutes after it has been on. Now that you know all the massagers that are available to you, it is time to take a closer look at how to go about choosing one for yourself. Before you decide on a particular car seat massager, you first need to figure out what kind of massage you want. While manufacturers may throw around a lot of terms your way, there are only two that really matter in this instance. These are the shiatsu massage and vibrational massage. Shiatsu massage has been around for quite a while and is arguably one of the most popular forms around today. This type of massage relies on applying pressure to various points around your body using the fingers, thumbs, and palms. In the car seat massagers, this is recreated with the help of massage balls and nodes. They roll around behind the material of the seat, creating pressure at various points along your neck and back. Now, these nodes and balls can be quite tough. So, when combined with the massaging action, it can be a bit difficult to get used to. In this instance, a vibrational massaging seat will work much more in your favor. As the name suggests, the chairs use motors to create vibrations all along the chair. Another question you will have to ask yourself is just where you prefer to be massaged. In many cases, this is largely determined by any health problems that you may have. The reason this is important is that various massagers focus on different parts of the body. So, if you want a massage all over your body, look for one that targets the neck, back, and lower body as well. Otherwise, you can just opt for a massager that massages your back alone. Let’s face it, everyone has their own preferences when it comes to massages. Some people prefer the massage to be all over their body while others are more about focusing on spots. Then there are some that prefer a greater speed and higher intensity while others want something that is gentle. Or, you might want a combination of these. If you want to be able to create a perfect massage for yourself, then you are going to need to look for adjustable or customizable settings. This will ensure that you can change the intensity, speed, and position according to what is right for you. Some people like to sneak a massage while they are sitting in traffic. Others, however, just want to loosen their muscles either before or after a long drive. If you belong to the former category, then you are going to need to find a massager that is comfortable to sit on for long periods of time. This means that you should consider one with a more ergonomic design. At the same time, you should look for a good amount of padding as well. See, these massagers rely on a variety of components like motors or nodes. These can be large, intrusive, and downright uncomfortable. As a result, you need the padding to help to soften all of this. Then it is much easier to sit in the seat for longer without having to deal with any discomfort. 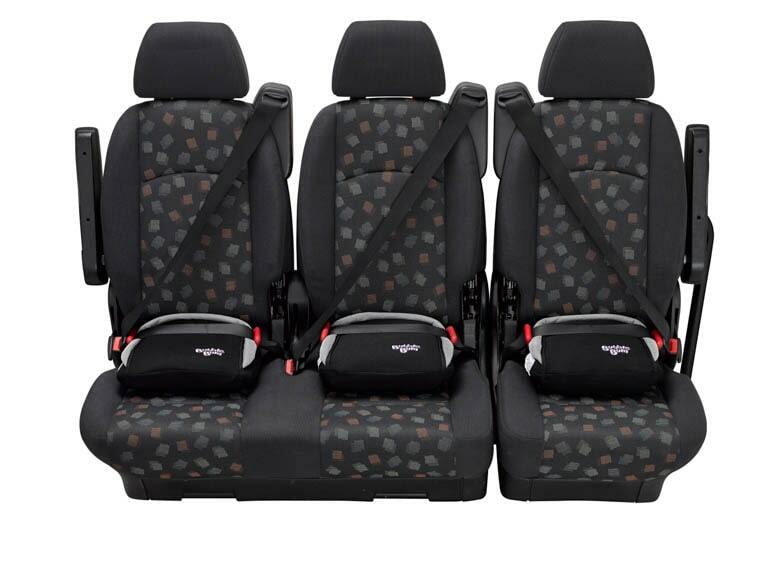 It is vital that you choose a car seat massager that you are sure is completely safe to use. This way, you can be quite certain that you won’t experience any harm or injuries. One of the more significant safety features to look for is the auto shut-off function. This feature makes sure that the massager shuts down after a certain period of time. Due to this, you don’t have to be concerned that your muscles or skin will be sore due to overexposure to the nodes or motors. Furthermore, if your car has a heated function, you should analyze it for some form of temperature control. This will prevent it from overheating and burning you. These are the various elements that you will need to look at when you are purchasing a car seat massager for yourself. This, combined with the list of products that we have provided you with, should make your decision a whole lot easier.